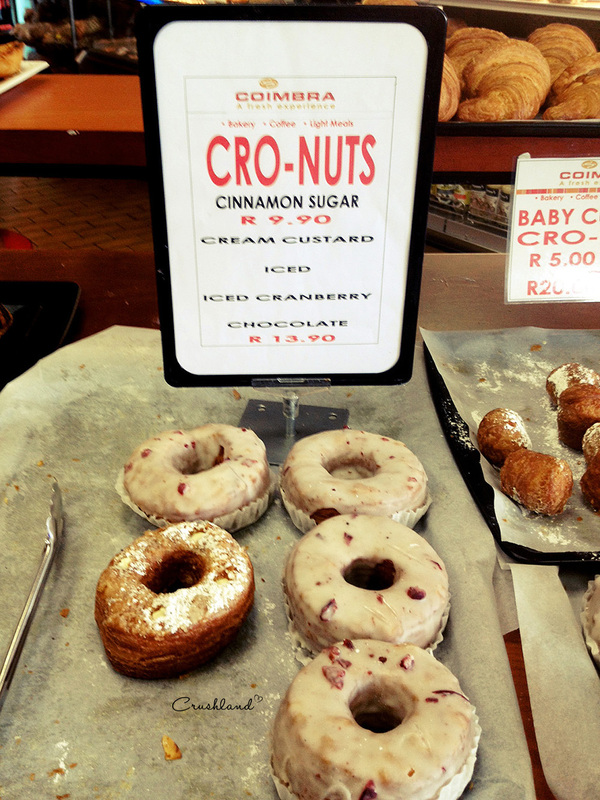 Cronuts/ Dough-ssants finally in Cape Town! 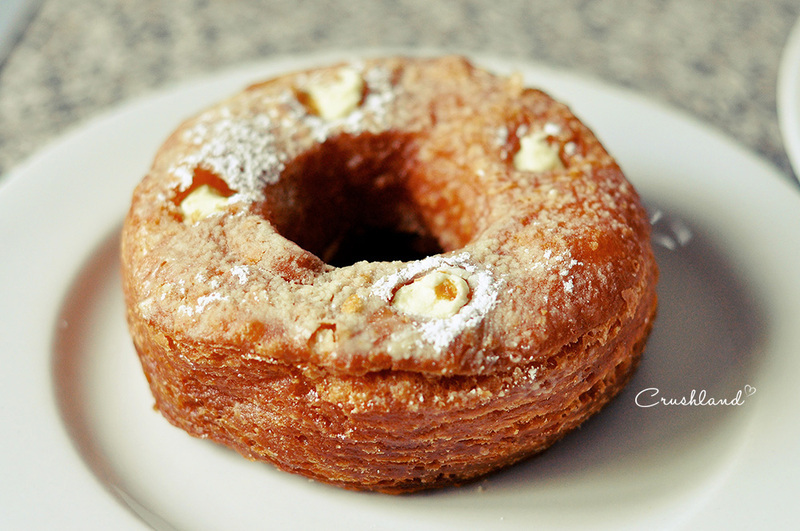 In May this year Manhattan baker Dominique Ansel created a croissant/ doughnut hybrid and even had it trademarked. 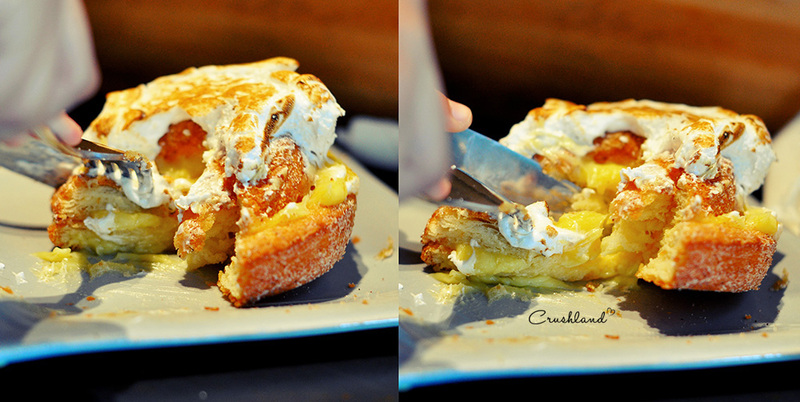 A flaky, crisp-on-the-outside deep-fried confection tossed in cinnamon sugar, filled with a flavoured cream and glazed. People queue for 2.5 hours outside the bakery every morning, and rules include no reselling in the line. 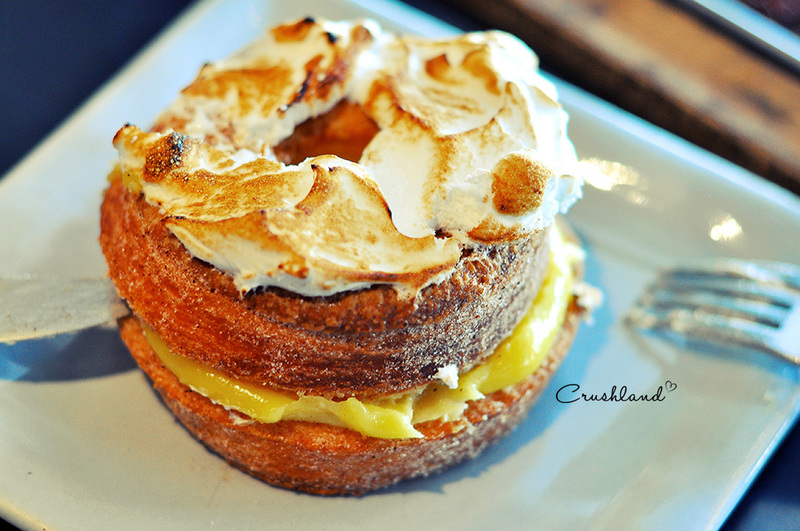 Flavours change monthly and include Rose Vanilla and Lemon Maple, for more Cronut™ 101 click here. It has since spiraled out of control. 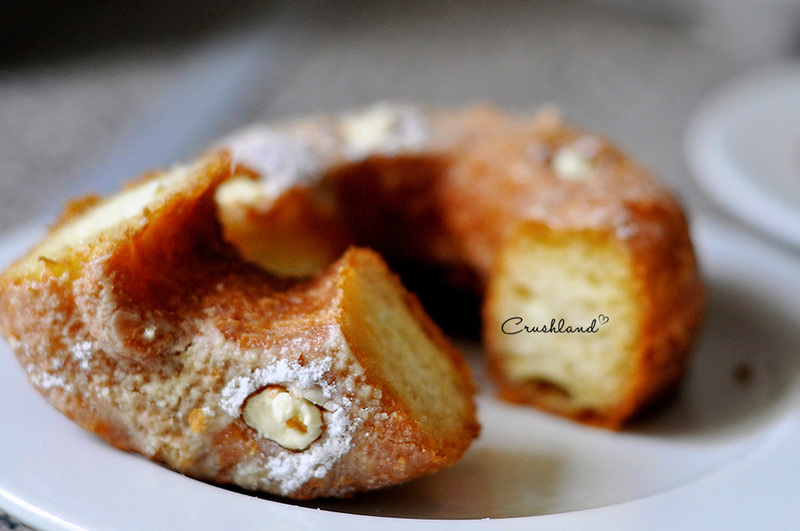 You can now find all types of versions from cro-doughs to dough-ssants all across the world. 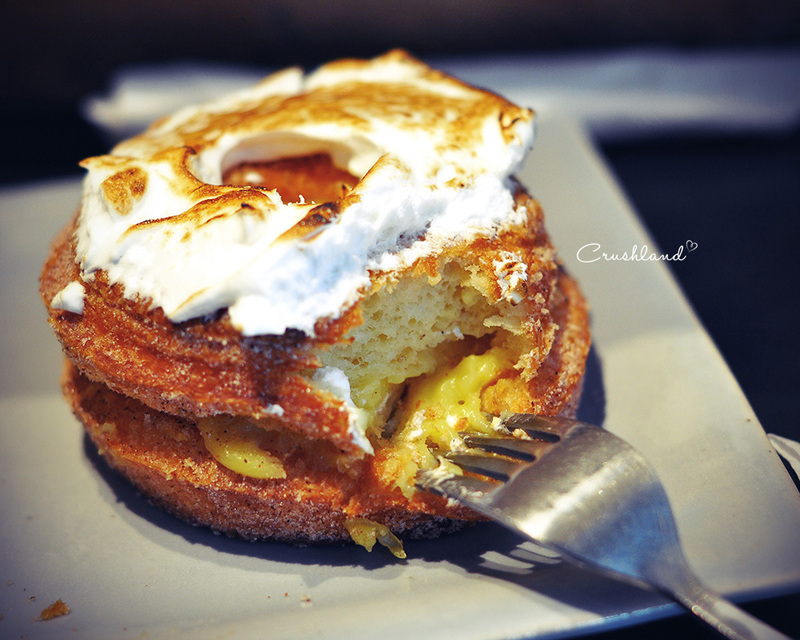 I even came across a cronut burger, like a real burger with the deep fried pastry for the bun. Gross, right? 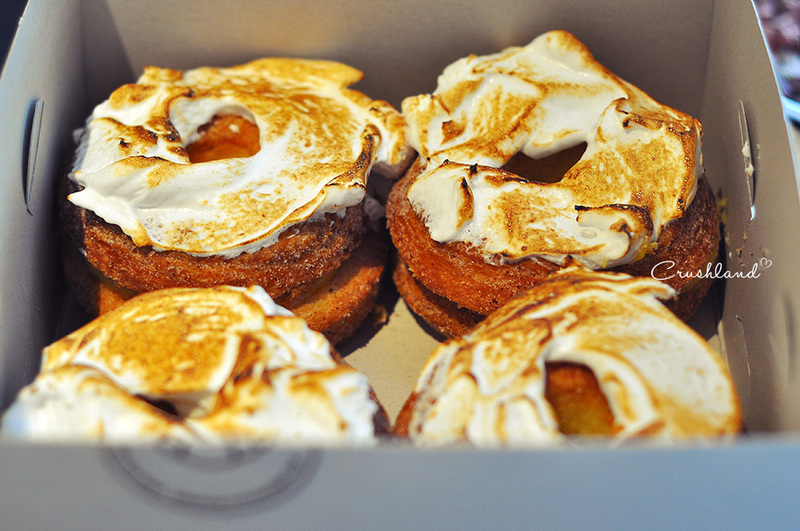 Other weird and wonderful mash-ups include the Pieffle (pie/waffle), Crookie (croissant/cookie), Townie (tart/brownie) and Duffin (doughnut/muffin). What is this world coming to? I like it! 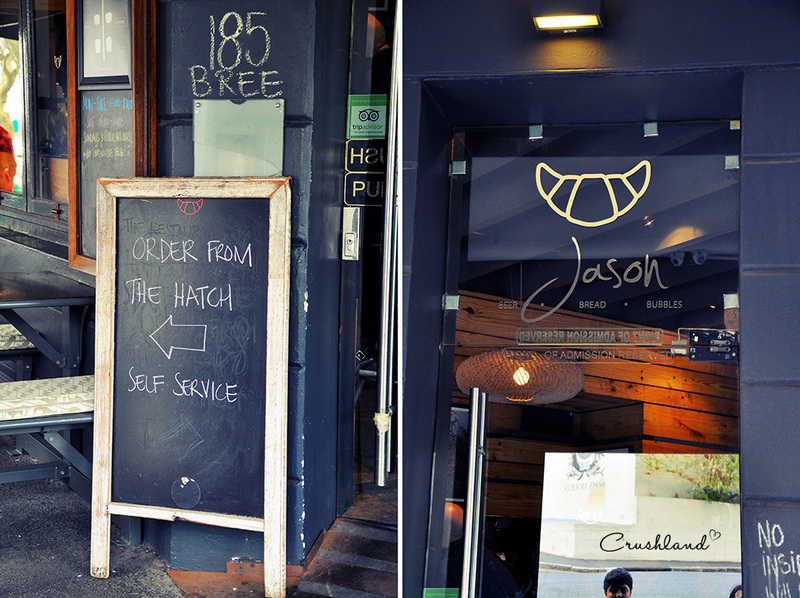 First stop was Jason’s and the flavour of the day was Lemon Meringue. Thank goodness I pre-ordered because there was nothing left when we got there at 12pm! 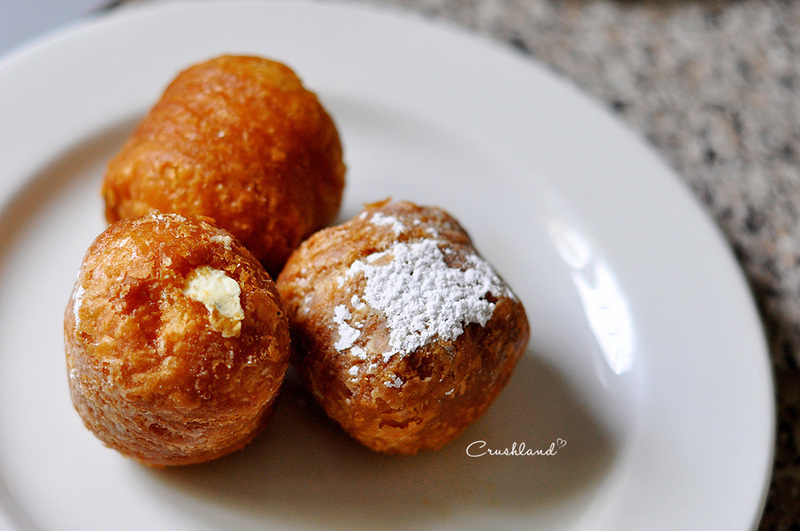 It’s called dough-ssants here, and its baked instead of deep-fried. 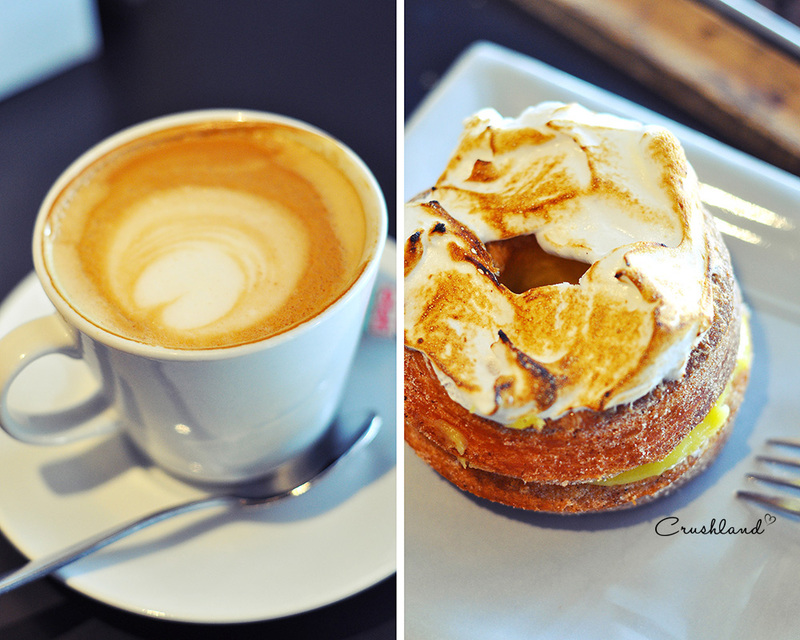 With a flat white for me and a hot chocolate for U, we tucked in. No, we did not finish the box. 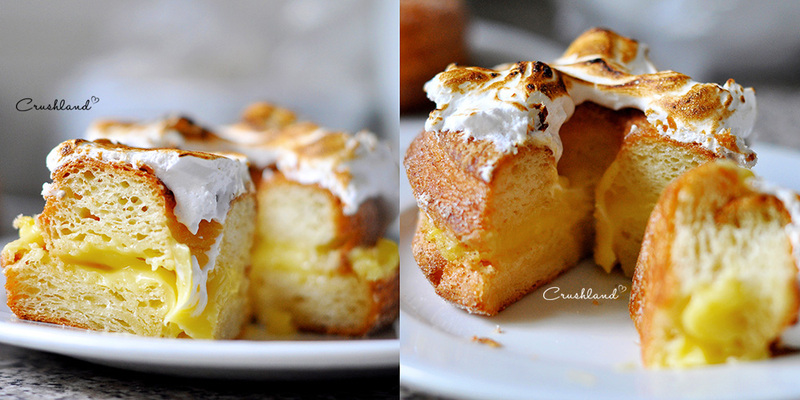 Topped with fluffy meringue and filled with the lemony stuff from a lemon meringue. The texture wasn’t as soft and tender as I expected, U kind of struggled with the cutting of it which silently frustrated him, he just couldn’t get it into his mouth fast enough. 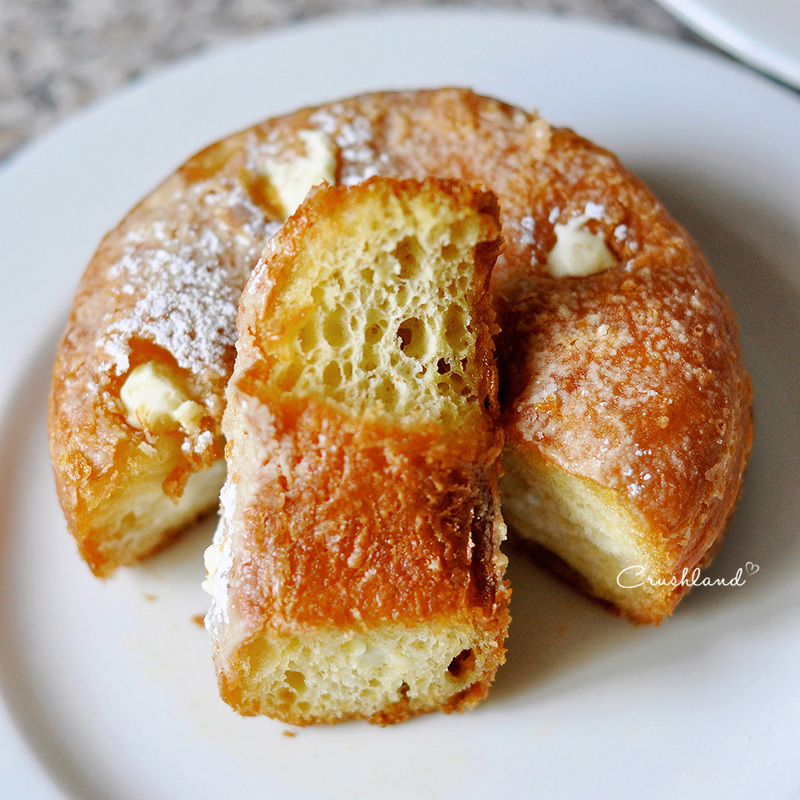 It tasted like a croissant inside, and the cinnamon sugar gave it the doughnut flavour. 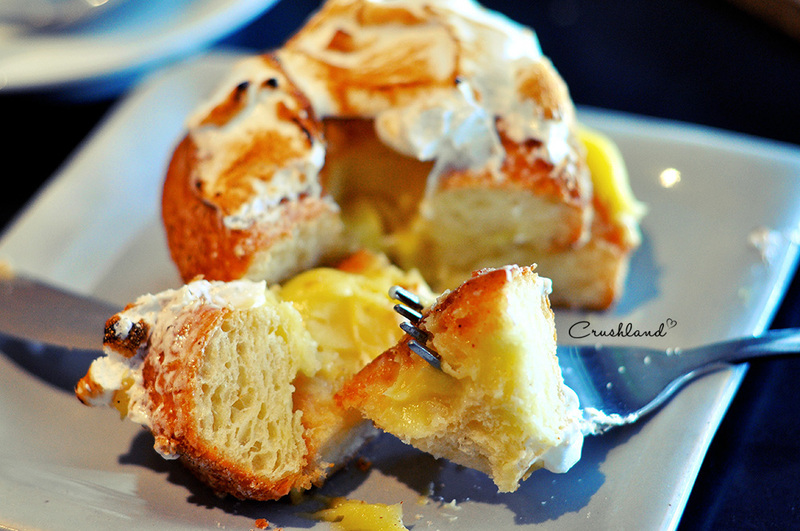 As you can see, it looked like heaven, and it tasted just as good! 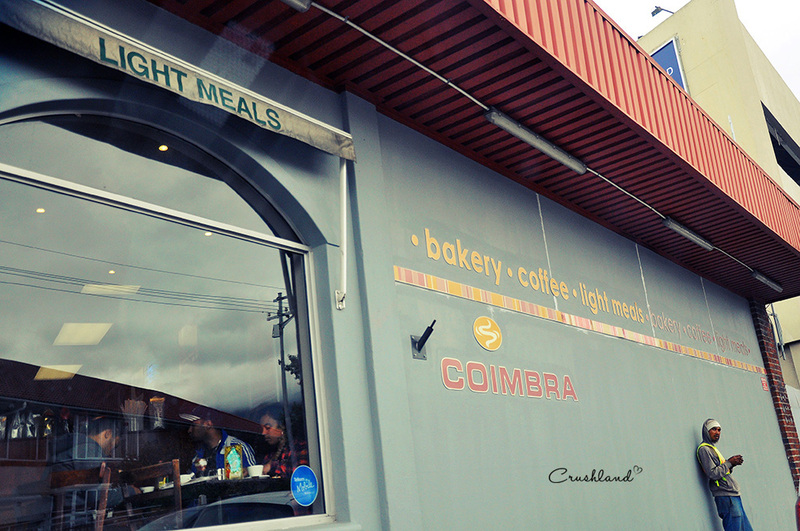 Next stop was Coimbra, everyone’s favourite family-owned bakery. I was so stuffed after the first sampling that I opted for the plainest of plain: the cream custard. These babies are deep-fried. You can see how crispy the outside is of the fried one and I preferred the texture, but it was quite oily. Catch 22. In all fairness, I think that both should have been enjoyed really fresh instead of in the afternoon. 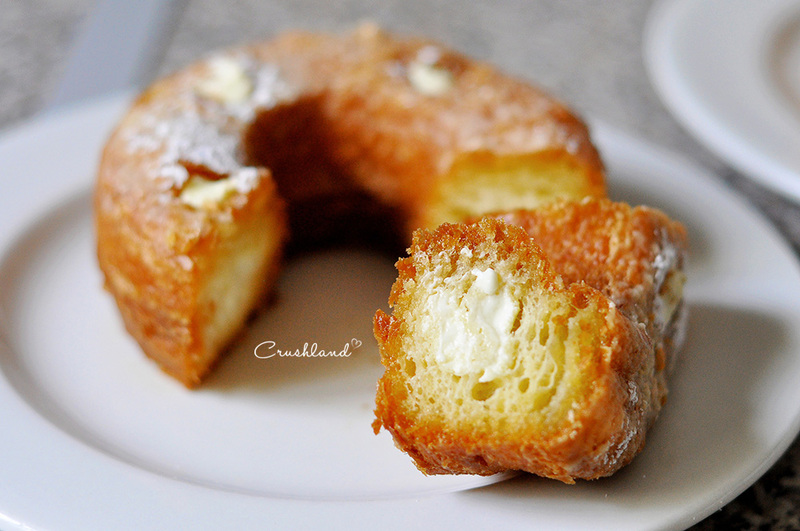 The baby cronuts, perfect little cream custard filled bites! If you know of any other Frankenstein treats in Cape Town, let me know me know! 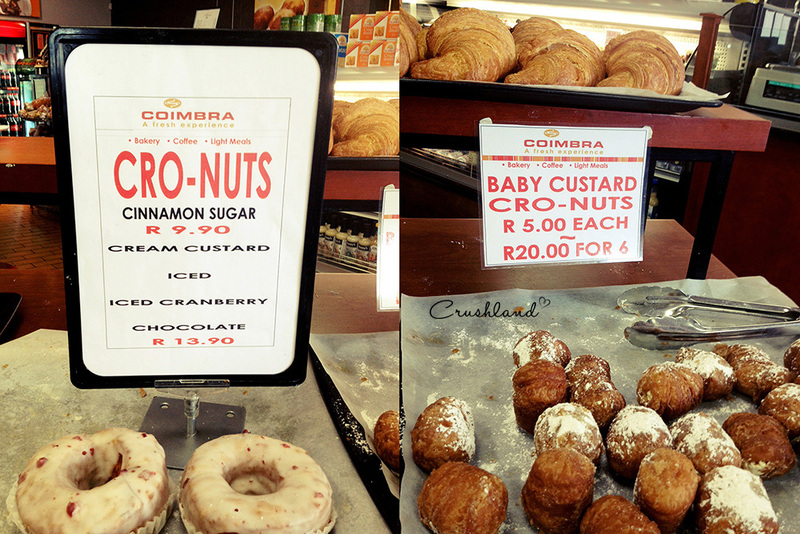 Tags: cape town, coimbra, cronut, cronuts, dessert, dough-ssant, flat white, Jason Bakery, jasons bakery, Lemon Meringue. Bookmark the permalink. Never too old to learn 🙂 They look yummy! 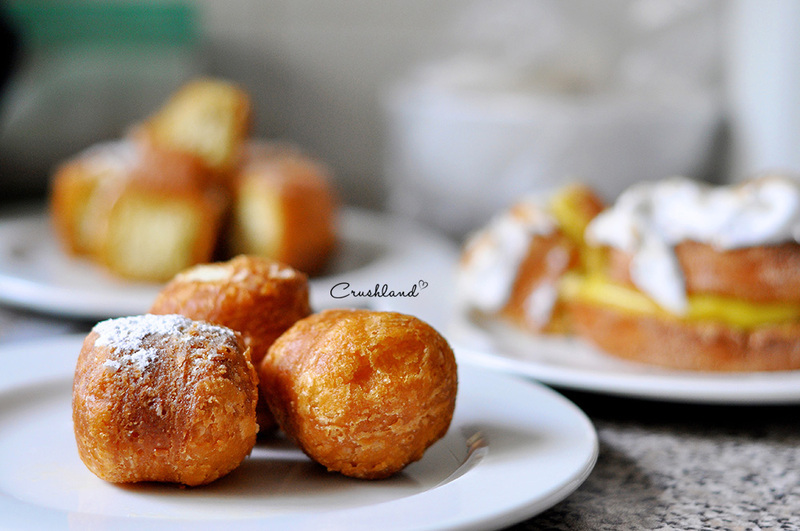 aah… torture as I’m fasting right now!! !